So far in 2015 Chicago winter has showered us with early snow, then some summer-like weather for Thanksgiving and now there’s a promise of more mild weather. If you’re a Chicagoan like us, you know it’s just a matter of time until we see more snow on our streets and in our backyards. Snow is only fun when it’s not blocking the entrance to your business or threatening to cave in your roof. Snow-covered and icy path to your business isn’t just an unwelcoming sign to potential customers; it’s also dangerous and may get you into serious legal trouble in case your visitors slip and get injured. Even if you’re not a business owner, you should still pay attention to snow accumulation, especially on your roof. If your roof has 12 inches of snow on it, that could easily amount to thousands of pounds of stress on your roof. That’s not even counting the weight of any ice dams that may form as a result of leaving the snow on your roof; just one cubic foot of ice weighs 57 pounds, and a typical ice dam can weigh thousands of pounds. Minimizing the stress placed on your roof is a great way to minimize the risk of leaking and cave-ins (the latter of which occur more frequently than you might think). This winter, just like many winters before, ATJ’s Home Improvement is prepared and well-equipped to help you deal with the elements. 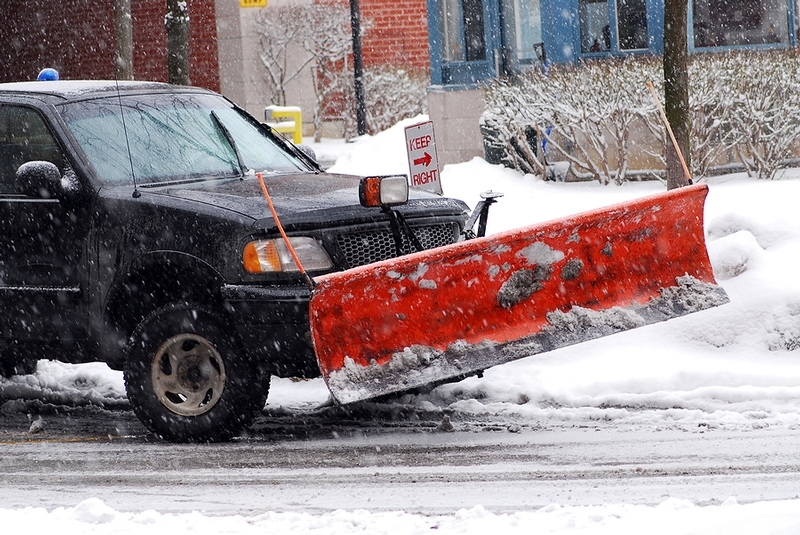 We offer a prompt, reliable, courteous snow removal service in Chicago and Western suburbs. Needless to say, ATJ’s Home Improvement is fully bonded & insured. Here at ATJ’s we love working with Homeowners’ Associations and subdivisions. We would love a chance to give you a competitive quote! Call 630-655-8256 or request a call-back online! Snow plowing and removal in: Aurora, Batavia, Bolingrbook, Burr Ridge, Chicago, Clarendon Hills, Darien, Downers Grove, Elmhurst, Glen Ellyn, Lemont, Lemont, Lisle, Naperville, Oak Brook, Schaumburg, St. Charles, Warrenville, Wheaton. Also, many other cities and villages in Cook and DuPage Counties!